Getting sufficient exercise is not just vital for human beings, but it’s also a must-have for dogs too. Keeping your canine friend healthy and active is pretty simple with the use of high-quality pet products and off-leash dog parks. Fortunately, there are many fantastic dog parks in Houston, TX where your dog can chase a ball, run, swim and socialize with other dogs. Here are the best dog parks in Houston. This dog park is situated close to Mary Jo Peckham, one of the treasured parks in Katy. You will find an expansion area for large dogs and a small space for small dogs. The large dog area has water fountains, wash stations, walking trails, waste centers, restrooms, and agility training equipment all within this park. The park is open every day from morning to evening. 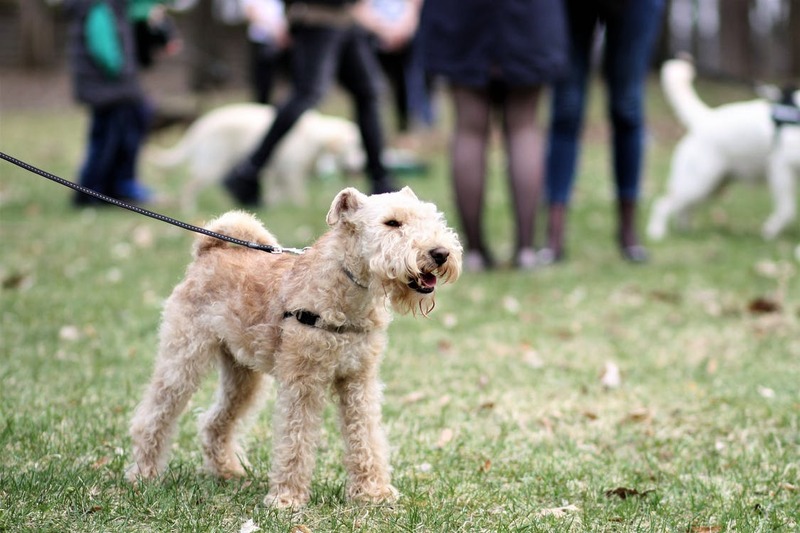 Situated next to large recreation fields and playground, Beverly Kaufman Dog Park has separate spaces for small and large dogs as well. There are dog wash stations, drinking fountains and waste stations but carry an umbrella with you for shade. This park is open every day from dawn to dusk. 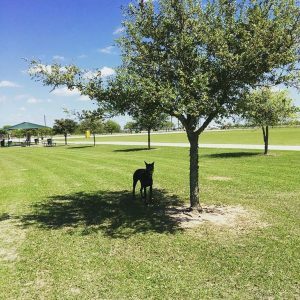 If you’re looking for a large, shady park with enough grass and isolated places for small and large dogs, Congressman Bill Archer Bark Park is one of the best dog parks in West Houston. Every part of the dog park provides enough room, seating, and wash and water features. You will find dog ponds on all sides of the park and an extensive collection of obstacle courses and training equipment. The park is open each day from dawn to nightfall. This expansive, grassy park is on a couple of acres with a private dog park. There are two separated sections for small and big dogs and a bone-shaped pool for the dogs as well. You will find water fountains, dog bags, trash cans, benches, restrooms, and splash pad for the children as well. This area has a high population of birds so, and it’s essential to monitor the small dogs. The park opens from morning to nightfall every day. The Meyer Dog Park is located near playgrounds and soccer fields, and has different spaces for small and large dogs, water fountains, walking trails, as well as waste and wash stations. You’ll also find several benches for seating and a hose to refill the small wading pools. The pool opens 6 am to 10 pm every day. This park features more than five acres of green area with trails for walking and running. There are all standard amenities such as washing stations, water fountains, waste stations, and several seating spaces as well. This park open 8 am to nightfall every day and its ideal for larger dogs. This beautiful and well-maintained park features different sections for both small and big dogs, covered benches, waste stations, trash cans, and agility training equipment. Carry your bowls, water and an umbrella for shade. There are plenty of seating areas and beautiful walking trails, workout stations and a playground for the children as well. This park opens every day from morning to evening and closes ones the nearby canal fills up. This forested park provides six acres with different areas for small and big dogs, drinking fountains, waste stations, wash stations, walking trails, shaded benches and restrooms as well. The park opens every day from dawn to dusk. This expansive, grassy dog park offers plastic wading pools, shaded seating, water hoses, and waste stations. There are also separate spaces for small and big dogs. You’ll find water fountains, but it’s good to carry your bowls. This park opens every day from morning to evening but closes on Wednesday mornings for routine maintenance. 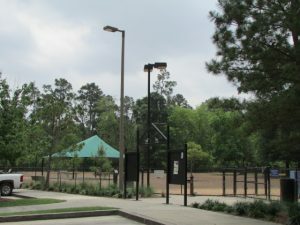 Located in The Woodlands, Bear Branch Dog Park offers two different sections for small and big dogs, water fountains, enough benches, and wading pools to keep your canine friend cool. You will also find dog washing stations, doggy waste stations, agility training equipment, and shaded seating areas as well. This park opens from morning to nightfall every day. Houston provides a wide range of dog parks for the small and big dogs, some with areas for the dogs to wash off, ponds, benches, and large spaces for your canine friends to play. Make sure you wear light and comfortable clothing, especially in the summer months, and take a lot of water so that you and your pet remain hydrated through the heat of Houston.